Simplified Canadian Passport Renewal application will allow Canadian citizens who meet certain eligibility criteria to renew their passport using a shorter form and without submitting documentary evidence of citizenship, 2'nd identification and a guarantor declaration. Canadian passport renewal applicants will only be required to submit the shorter form with two new photos, and their last passport and the renewal fee of course. * Must be residing in Canada at the time you apply. * Must have resided in Canada at the time of your previous application. * Must be 16 years old or over at the time of your previous application. o Must have been issued under your current name. 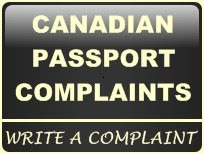 The new Simplified Passport Renewal Program application form is available at all Passport Canada service points.